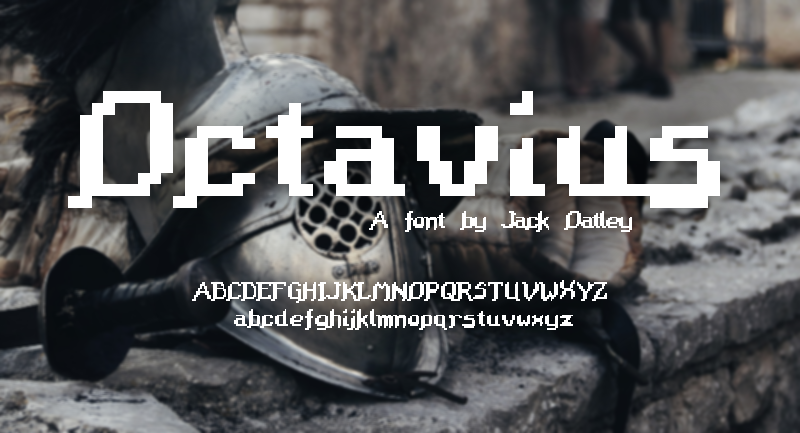 This font "Octavius" is created by Jack Oatley. This font is inspired by the type in the game "The Settlers II", some characters are the originals and some have been edited or added. There are 2 versions here, a regualar one, and one with defined kerning to make the letters seem more "joined up".